Tulle & Combat Boots: organization inspiration: notebooks. 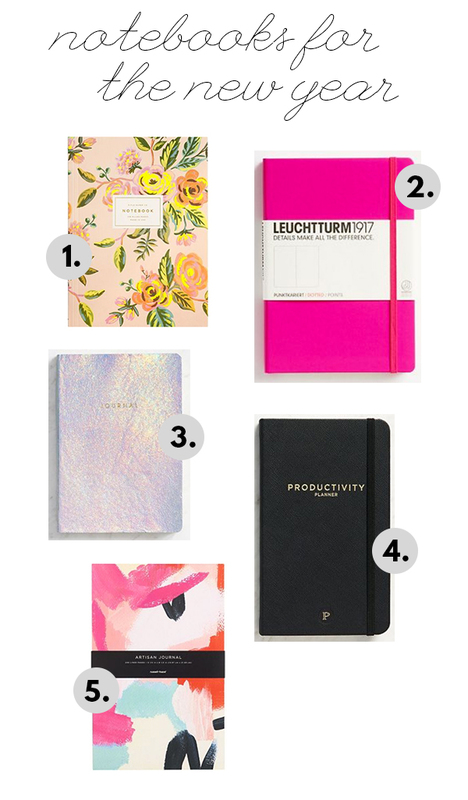 With the new year being in full swing and the time for planning goals and making bullet journals, I thought I would share some of the prettiest/nicest notebooks I've come across that are good for bullet journaling. I got myself this planner for this year and I'm using the interior pages for bullet journal style checklists, but not doing a full bullet journal just yet. I used this for my bullet journal last year and it's perfect for that—perfect cover stock, and the lines are hot pink! I love it. I know a lot of die-hard bullet journalers use this brand, and I love this color. I can't help it, I've fallen victim to the holographic trend and I love this. I use this at work (I'm on my second one) and it helps a ton with keeping me on track and also tracking my time—and sticking to the Pomodoro technique. This is just so pretty, I've been eyeing it for months now. BTW - these are all from Paper Source not because I'm getting anything from it, but because I love Paper Source and get the majority of my stationary from there.